Turkey condemns the persecution of Tatars in Crimea and will shortly send an observer mission to the peninsula annexed by Russia, Turkey's Foreign Minister Mevlut Cavusoglu stated in Vilnius on Friday. "We are sending an informal mission to observe the human rights violations in Crimea soon," Cavusoglu told a news conference in Lithuania. "The situation in Crimea is unacceptable. The Crimean people and particularly Crimean Tatars have been oppressed, attacked and their rights have been violated," said the minister. Although Turkey did not join Western sanctions on Russia, Cavusoglu assured that Ankara would never recognize Crimea's annexation by Russia. Crimean Tatars, Muslims that are close to the Turkish nation, did not support the annexation of the Ukrainian peninsula of the Black Sea to Russia, saying they were persecuted. After Russian institutions refused to extend the license, Crimea's only independent television channel for Crimean Tatars terminated its operations earlier this week. ATR TV was one of the few voices in the region which criticized the Russian annexation and later continued its critical position. Turkey welcomes the preliminary agreement on restriction of Iran's nuclear program, Foreign Minister Cavusoglu also stated in Vilnius on Friday. "We are very happy that this deal was made yesterday," Cavusoglu told journalists at a joint news conference with Lithuania's Foreign Minister Linas Linkevičius. The minister expressed hope that Iran would take additional steps to facilitate reaching the final consensus by July, by which the West would lift the sanctions on Iran in exchange for limiting its nuclear program. "Turkey is in principle against any kind of nuclear weapons in Iran, in Israel or in any other countries," the Turkish diplomacy chief said. Lithuania's Linkevičius also applauded the deal, saying it would contribute to "a safer world." After an eight-day marathon of negotiations, Iran and the so-called P5+1 - the US, UK, France, China and Russia plus Germany - reached a political framework agreement in Switzerland on Thursday on limiting Tehran's nuclear program for at least a decade. The United States and the European Union have pledged to lift all sanctions in connection to Tehran's nuclear program as soon as the United Nations (UN) supervisory agency confirms that Iran is observing the terms and conditions of the agreement on limiting its nuclear operations. 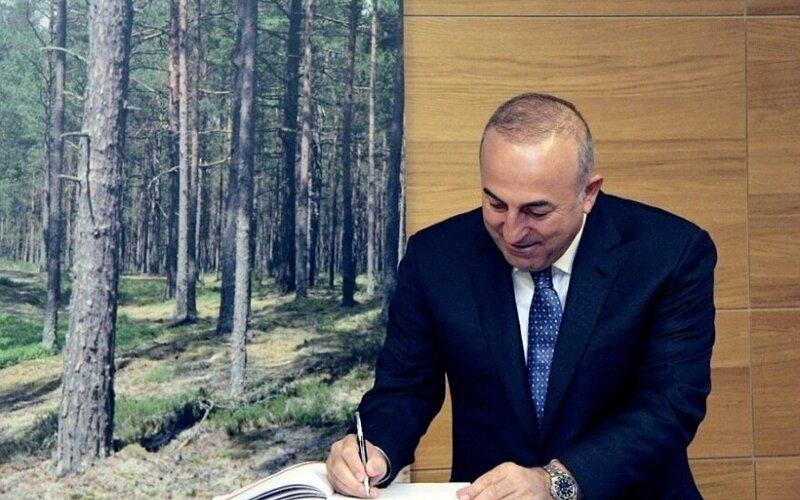 Turkey's Foreign Minister Cavusoglu has also expressed support to Lithuania's aim of joining the Organization for Economic Cooperation and Development (OECD), which is often titled the prestigious club for wealthy countries. "Turkey is fully supporting Lithuania's OECD membership," the minister told journalists in Vilnius. Turkey has been a member of the organization since it was founded in 1961. Lithuania expects to officially start its accession talks with the Paris-based organization this June. The government expects OECD membership to improve Lithuania's competitiveness, borrowing ratings and investment climate. OECD currently has 34 members. Estonia was accepted in 2010, while the third Baltic state, Latvia, is currently holding membership negotiations. Turkey 's Foreign Minister Mevlut Cavusoglu is coming to Lithuania on Friday.